Every church suffers from it, be they small or large: Limited budgets. MinistryImagery.com was started with one goal in mind: to provide worship backgrounds, completey free of charge, to churches, ministries, and parachurches with no royalties, fees, or restrictions. We've added new images over the past few months, but haven't made changes to the news feed, and for that, we apologize. You see, we have to work - you know, that thing that makes money? - and that, sometimes, leaves us very little time to make updates. You may have noticed that the site has grown in size since the last announcement - we've made additions to the image content, but have been - honestly - a little too distracted to make regular updates to this news. We've got some new things in progress though - most notably - changes to the image browser and a search ability within it. Expect these changes within the next two months! We've added 21 New images, and one new sub-category! 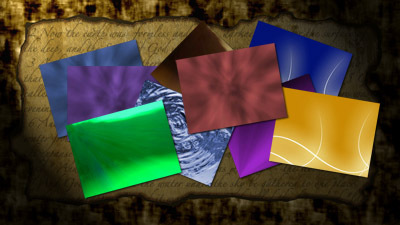 There are now 16 new images in the Abstract > Waves category and 5 new images in the new Render > Grid category! The smoky set consists of 5 different colors and one textured image, and is ideal for those situations where you need a low-key background with gentile colors. The Sermon Slides Section has Arrived! Though it felt like moving a mountain, we've finally gotten the code optimized to work for the sermon slides section! This section, while very small at the moment (hey, we just moved a mountain, remember? We're working on it!) houses images that are designed to be used with keynote or PowerPoint, include both a full screen image and a lower-thirds image for those of you lucky enough to have a keyer, in both 4:3 and 16:9 aspect ratios! Y'all know what's next, right? That's right! The videos section is on the way! The video section will contain Countdown videos and motion backgrounds! We also broke another of our milestones: 150+ images hosted in the images category alone! That's right, we're growing! Images and Categories and Sub-Categories, Oh My! Today (tonight?) we celebrate the additon of 1 new super-category(Render), 6 new sub-categories(Spreads, BurstStar, WhiteLines, Ancient, Water, and Zoom), and 28 additional images! These new images should make a welcome addition to any orginizations' library, and are, as always, free of charge, and are offered in both 4:3 and 16:9 Aspect Ratios. Feel free to get downloadin' and spread the Good Word! Ministry Imagery Store is in the Works! How many projects are we working on at once, you ask? Entirely too many. Regardless, we are putting together a store that is intended to sell packs of the images available on this site, along with their PSD or PNG root files, so that you can make your own edits and changes. These DVD's will be a whopping $9.99 - try finding an image pack for that price somewhere else - and will be in various configurations. The only reason we are even charging that much is to cover shipping and costs. The first pack will contain all images that are currently available, plus about 40 more, and some countdowns and sermon slides. This one weighs in at a whopping 2.8GB! That's all editable root images, plus the finished products. And, of course, if you want to just download the images here, they are always free! New! Abstract Image Category Added! We've added a whole new super category, called "Abstract," of images to the database, increasing our total number of available images to 119, an addition of 31 more images! These images are ideal for non-obtrusive applications like backgrounds for songs and entry/exit screens. They are provided in a myriad of colors, as usual, so that you can find one to match almost any lighting or design layout! All of these new images are also available as both Standard (4:3) and Widescreen (16:9) screen formats. We've also added a new sub-category to the Basic image packs called Burst. This contains five different colored images with a burst of light effect. Ideal for those inspirational songs - the burst gives that omni-present light feeling to the image! Enjoy all the new media! The First 16:9 Images Have Arrived! We are updating images as fast as we can to also support the 16:9 widescreen format. Soon, there will be a filter for the images section that will allow you to include images available in one format or the other, or to include all images. You will notice that the method in which you download images has changed somewhat - instead of a link next to the word download with the file name, you will now see one or two links next to the image format specifiying the video format, 4:3 or 16:9! The images that have been currently updated fall under the Photography category, and can be accessed by going to directly to the Super Category, or, of course, by navigating through the various sub-subcategories. Enjoy! We are currently sourcing countdown videos to be included in the videos section. On that note, the code driving the videos section is nearing completion. We understand that high quality countdown videos are a pressing need in many churches and are striving to create and source many high-caliber countdown videos for you to use in your environments. We expect to have this whole section up and running within the next two weeks! We've updated the "Other Resources" Page to give you more free resources to help with your ministries! 16:9 Aspect Ratio is on it's Way! We are working hard to convert all existing images to support the 16:9 aspect ratio as well, as well as the backend code that will display the additional images! User Submission System Nearing Completion! That's right, soon anyone who wants to support MinistryImagery.com will be able to submit images, worship videos, and sermon slides for consideration to be included in the library! There will be two types of submissions - one for selected designers and photographers that will be direct posts to the subsystem, and another for anyone to use that will queue the submissions for approval. This feature will allow for a much larger and dynamic library of media to be used in your church or organization for FREE! Once we are out of Beta, all you have to do to be able to download the items on this site is sign up for a free account. The only information that we will request at that time is a valid email address (of course, your information is private!). Until then, EVERYTHING is open for you to peruse and download! So, feel free to browse our collections and categories and download the media to do with as you wish. Once the site is completely online, you will be able to submit your own images and media to be included in our collections as well! Any of our offered images, backgrounds, sermon slides, or motion videos are completely free of charge, so long as they are used in a non-commercial sense - and we are pretty liberal with that as well. All we ask is that you are using them in an environment that is non-profit (like a church or Christian conference), non-commercial, and unrestrictive (open to anyone). The full text of our restrictions is available here (it's a modified CC license). Now, get out there and Praise the Lord! 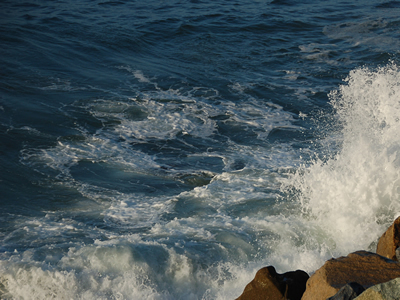 Images from Ministry Imagery are licensed under a Creative Commons Attribution-Noncommercial 3.0 United States License. Some images may fall under other licenses, and as such, applicable licenses are indicated within the downloaded directory.